Janis comes to Network Family Care Center as one of the Chiropractic assistants. She is the voice you will hear on the phone greeting you in the afternoons, as well as the person greeting you for your care. Janis has prior experience both as a practice member and chiropractic assistant before coming to Network family care Center. Janis has a bachelor of science in education and has taught elementary school. Her love of children and passion for good health and wellness contributes to the dynamic care offered in our office. Liana is the smiling face that you will see in the morning when you walk into the Network Family Care Center. Liana was a long-time patient of this clinic even before the days of Dr. Marco. She brings several years’ knowledge of patient care to assist her as a chiropractic assistant. Liana earned a BA with an area of concentration in Human Resources Management from The University of Western Ontario. She spent over 20 years working in the HR field in a few IT corporate organizations such as Dell Computer. She is married and a mother to two hockey playing teenage boys, she loves to travel, participate in yoga classes and enjoys getting to know people. 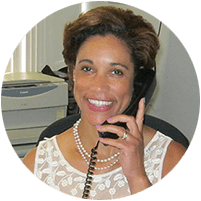 She is passionate about health and wellness and utilizes this to ensure that the patients of the Network Family Care Center receive the best care possible. She would be happy to assist booking your appointments with Dr. Marco and the rest of his team: Belinda Hosey, Jonathan Maister, Janet Marzan or Melanie Tinianov. Jonathan is a Canadian Registered Massage Therapist and Certified Athletic Therapist with a further specialty and certification in Sport Massage. At this time, only, 3 [now 4] people across Canada have all three of these designations! Jonathan Maister has successfully treated a myriad of conditions. His manual based practice focuses on soft tissue but he has assisted with many nonsoft tissue based conditions as well e.g. chronic swelling, sinusitis, post-surgical pain. Chiropractic care marries well with soft tissue treatment. Joint positioning and the nervous system, which are the domain of the Chiropractor, are frequently the final step required in ensuring the complete healing of a soft tissue condition. Conversely, soft tissue integrity is often needed to ensure total resolution of an injury treated with Chiropractic. Jonathan has frequently brought substantial relief and, depending on the condition, complete resolution. Belinda graduated from Sutherland-Chan School of Massage and Hydrotherapy in 1993. 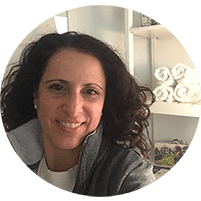 Since that time she has owned a variety of multidisciplinary clinics, specializing in Massage Therapy, Naturopathic Medicine, Physiotherapy, Physcotherapy, Reflexology, Acupuncture, Thai Yoga Massage, including Yoga and Pilate’s studio. Belinda currently runs a couple of Onsite Therapy clinics in various companies in the GTA. 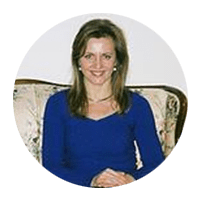 She has taught infant massage classes and has spoken at various health conferences on benefits of Massage, nutrition, stress and many other health issues. Belinda currently practices part time at The Network Family Clinic and offers a variety of services. Who knows what she will add to her bag of tricks?? She never stops!! Energetic, professional and accountable Registered Massage Therapist with more than 14 years experience is focused on academics within the massage therapy profession and maintaining a steady, loyal clientele across 2 clinics including a Private House Call/Mobile Practice. Specializing in Pre & Post Natal Massage, Infant Massage Instruction, Postural Concerns, Chronic Pain Relief, Deep Tissue Massage, Sports Massage and Sports Injuries, Nutrition, and Aromatherapy. Interested in Nutritional Counselling and Participating in Corporate Massage Events, Corporate Lunch & Learn Seminars, Corporate Wellness Fairs or Health and Wellness/Employee Appreciation Days.Specialties: Massage Therapy and Research, Pregnancy and Post-Natal Massage, Sports & Soft Tissue Injuries, MVA's, Chronic Pain; Currently an Educator and Clinic Supervisor of a Massage Therapy college; Business Networker & Member of BNINetworkers.com. Melanie is a Registered Psychotherapist providing support, problem-solving skills and enhanced coping strategies for issues such as depression, anxiety, addiction, relationship challenges, unresolved childhood issues, grief, stress management, body image issues and developing skills for same. 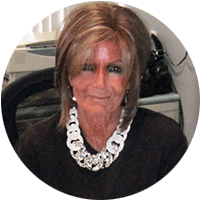 She is a tremendous resource in helping others manage personal growth, interpersonal relationships, family concerns, relationship issues and the challenges of daily life. She provides a fresh perspective on a difficult problem and can point you in the direction of a solution. She is passionate about what she does and it shows through in her approach and the results that follow in each client. In addition, Melanie has studied EFT and has incorporated this technique into all aspects of her work. 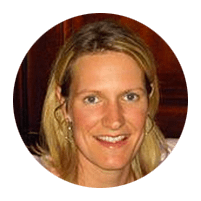 Melanie also brings a wealth of knowledge in the areas of medical diagnosis’, living with long term illness, end of life journey and menopause in the workplace. She works tirelessly in her private practice in Markham, ON. Melanie has over 20 years of experience in energy therapy, as a Reiki Master and Wellness Life Coach. She is the founder of ManiCure 4 Cancer providing specialized beauty care to cancer patients and survivors worldwide. 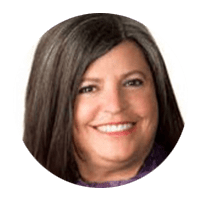 She is a member of the College of Registered Psychotherapists of Ontario (CRPO), International Coaching Federation (ICF) as well as Canadian Counseling and Psychotherapy Association (CCPA). I have been counseling individuals since 2008 with the use of essential oils in creating balance and harmony as a practitioner in the art of Raindrop and VitaFlex technique. Through my journey, I discovered that I had the ability to channel energy and began to learn about Reiki, which lead me to become a certified practitioner in USUI Reiki. During my practice, I began to learn about Angelic Reiki and discovered how a Reiki practitioner could elevate their healing and understanding utilizing this methodology. For this reason, I took a pilgrimage to the United Kingdom to train with a Master and became certified as an Angelic Reiki Master/Practitioner and teacher. Dr. Marco Caravaggio leads a team of highly skilled and compassionate professionals at Network Family Care Center. Patients from Markham, Ontario and beyond come to the practice looking for relief from pain, improved function and general wellness. At Network Family Care Center, they can help with all chiropractic needs, and so much more. Dr. Marco Caravaggio graduated with honours from the Canadian Memorial Chiropractic College in 1994. After a year of practice in Etobicoke, he moved to Italy, where he spent the next 15 years building and growing a family wellness practice. After returning to Toronto, Dr. Marco Caravaggio purchased Network Family Care Center. He now provides chiropractic care to patients of all ages, integrating the newest technology and advanced skills and experience into the services that he and his team provide. 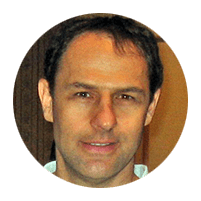 Dr. Marco has had much success improving the health of people with many diverse problems but has a special passion for helping pregnant moms, newborns and growing kids. He has taken extensive post graduate studies on the neurology of autism spectrum and sensory processing disorders. Dr. Caravaggio is a health and wellness enthusiast, international educator, public speaker, published author and finally, husband & father. Network Family Care Center is currently accepting new patients, and can schedule initial consultations for those in the Toronto area who would like to learn more about the many benefits of chiropractic care. Learn more about Network Family Care Center with our introduction video here! We offer Chiropractic services for Children. Also, we offer chiropractic services for new borns and prenatal care. We offer a True Cellular Detox Program as well as functional neurology care for Alzheimers and Dementia!